Tablets & Capsules is a technical publication devoted to subscribers involved in the formulation, production and packaging of solid dosage forms. For nearly 30 years, Utah Business has been the statewide leader for business news and information. It is targeted toward business leaders, professionals and executives in all of Utah's dynamic, growing industries. With 12 monthly issues and three core custom publications – Life In Utah, Business In Utah and the Book of Lists – Utah Business gives you the opportunity to reach the audience you're looking for. Our publications can be found on the desks of Utah's business elite, middle managers and even the up-and-comers. Google has updated its cookie guidance resource, CookieChoices, to include new tips and suggestions to advertisers and publishers in advance of the May 25 deadline for enforcement of the General Data Protection Regulation (GDPR). Magazine media audiences on mobile web grew 17% in May 2018 compared to the same month the year prior, the highest increase in the past year and a half, according to the 360° Brand Audience Report from MPA – The Association of Magazine Media. The audience mix of magazine media content is also shifting. Mobile web audiences – unique visitors that visit a site on a mobile device – now make up 35% (594.9 million people) of total magazine media audiences, compared to 30% in May 2017. Audiences consuming video magazine media grew 24% in May 2018 versus May 2017. Publishers are increasingly optimizing their sites for mobile and pushing into video content to meet their audiences' preferences. Rolling Stone recently announced it was redesigning its website to optimize for mobile consumption and make it "easier to navigate and more visually dynamic." Complex Networks signed a licensing deal to provide 10 video series to iflix, one of the largest subscription video-on-demand providers serving Africa, Asia and the Middle East. Some 64% of the 119 magazine brands included in April's MPA report experienced increases to their mobile web audiences versus a year ago. About three-quarters of those brands showed a double- or triple-digit increase. Print and digital (audiences that consume content from magazine brands on a desktop or laptop) versus web magazine audiences (those on an ereader or app) have fallen. The MPA report found those audiences dropped by 7.3% and 6.7%, respectively, as audiences increasingly move from large to small screens. Total magazine media audiences in May 2018 were up 1.4% compared to May 2017 for the 117 magazine brands in the report. People, ESPN The Magazine, WebMD, AARP and Time magazines had the highest average monthly audience in May 2018 across print, digital, web, mobile web and video platforms, according to MPA. The top five magazines with the highest average monthly audience growth in May compared to the same month a year prior were Town & Country (172%), Harper's Bazaar (138%), Motorcyclist (118%), Saveur (74%) and Men's Journal. 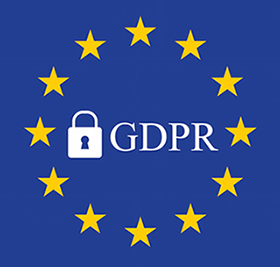 In our role as a data processor, we are responsible for implementing appropriate technical and organizational measures to meet the requirements of the General Data Protection Regulation (GDPR), ensuring a level of information security appropriate to the risk and acting in accordance with the relevant data controller's instructions. We enter into contractual agreements as appropriate with the applicable data controller and any subcontractor to provide sufficient representations to implement appropriate technical and organizational measures in such a manner that processing will meet the requirements of GDPR.